Where did my Server Administration tab in SolidNetWork License Manager go? Have you ever opened your SolidNetWork License Manager only to find the Server Administration tab was missing? Where did the Server Administration tab go? You may not know this if you are just a user of a SolidNetWork License (SNL) license: To manage the license server, you need to go into the Server Administration tab of the SolidNetWork License Manager. 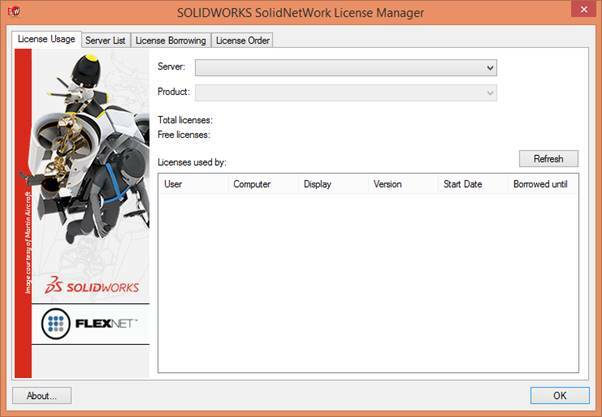 On the server machine, this can normally be accessed by clicking Start > All Programs > SOLIDWORKS 2016 > SOLIDWORKS Tools > SolidNetWork License Manager 2016 (or your current version of SOLIDWORKS). Using the Server Administration tab, you can Start server, modify or reread licenses, set rules for access to licenses, and also view SNL logs. However in some cases, your computer is both a license server and a client machine. And when you try to access license server you notice that it comes with only 4 tabs! What’s happening? Actually, the The 4-Tab SNL Manager and the 5-Tab SNL Manager are stored in different locations on your computer:. Note: The 5-Tab SNL Manager resides in folder Program Files (x86). This indicates it is an 32-bit application. Depending on where you installed SOLIDWORKS, the folder structure may vary computer to computer. The important difference is that the 5-Tab version is found under the Program Files (x86) folder and the 4-tab one is under the Program Files folder. You can search those folders for swlmwiz.exe if you’re unable to find it. It is a good practice create a shortcut of this executable to avoid confusion. Hardware migration, where you replace your current computer or server with a new one.. If you don’t have a robust plan for migration, there can be cases of route failing, or on editing route, relevant files (not just SOLIDWORKS document) not being found, etc. So as not to encounter any problem after migration, let’s take a look at couple of recommended options. Before attempting any of the options stated below, the Standard Operating Procedure (SOP) for migration is to back up the Routinglib.db file, standard routing components from the design library folder along with all SOLIDWORKS documents. The advantage of this option is that it is an easier method of overwriting an existing install/upgrade. Example: In this scenario, let’s look at a case where upgrade is from SOLIDWORKS 2015 to SOLIDWORKS 2016 thereby overwriting the SOLIDWORKS 2015 install. The routing database is stored in the Routinglib.db file which typically is in folder C:\ProgramData\SOLIDWORKS\SOLIDWORKS 2015\design library\routing. Browse and set 2015 version folder path. Go to Routing File Locations and Settings > Routing Library. Ensure that the path is correctly pointing to the 2015 location ( since 2015 was upgraded to 2016). Once this is done, you are all set to use SOLIDWORKS Routing. The advantage of this method is that you get two instances of SOLIDWORKS on your machine. Example: In this scenario, you prefer to have a fresh install of SOLIDWORKS 2016 and do not upgrade SOLIDWORKS 2015. So after installation, there will be two instances of SOLIDWORKS: versions2015 and 2016. Set the location of the SOLIDWORKS 2016 design library path. Copy the entire ‘Routing’ folder from C:\ProgramData\SOLIDWORKS\SOLIDWORKS 2015\design library\ and paste it under C:\ProgramData\SOLIDWORKS\SOLIDWORKS 2016\design library\. 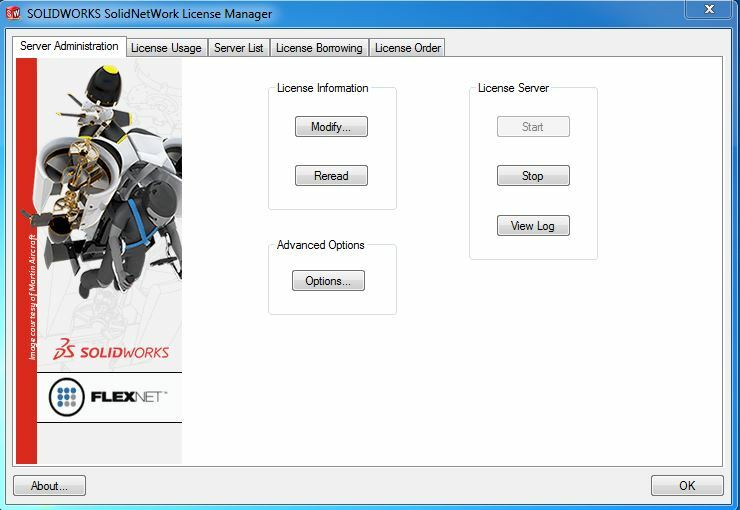 This ensures that the SOLIDWORKS 2015 version of Routinglib.dll along with the standard routing components are copied to the appropriate SOLIDWORKS 2016 location. When you receive a prompt to replace the Routinglib.dll that already exists in the SOLIDWORKS 2016 routing design library folder, choose ‘Copy and Replace’ option. Define the SOLIDWORKS 2016 folder path design library path. The synchronize option will take some time to finish depending on the total number of files in the folder. When the synchronization process is over, open a sample routing assembly files from your projects folder and ensure that the file references are correctly set and point to the SOLIDWORKS 2016 folder. Make sure that there is no data corruption. In both options stated above, it is recommended to have back-up of routinglib.db, routing library and routing projects (assemblies, parts, drawings) folders and files. For ease of use and to avoid confusion, try retaining the folder structure as that of default when creating custom routing components. Sub-folders can though vary based on further classification of components. To summarize database migration options discussed, there is no recommendation as such as to which option should you prefer as this is solely at your discretion. Yes, the SOLIDWORKS 2015 SP5 hotfix for this SPR can be found in the Attachments section of Solution S-070885. This hotfix will address the issue mentioned in SPR 921731, in SOLIDWORKS 2015 SP5 ONLY. Find the hotfix and the procedure to install it in Solution Id: S-070885. In eDrawings 2015 SP5, an issue has been identified where files may be deleted after opening multiple files in read-only mode followed by closing the eDrawings Viewer window. A hotfix has been made available to correct this issue. The Hotfix is attached to this Solution S-071143 and is made specifically for eDrawings 2015 SP5. Find the hotfix and the procedure to install it in Solution Id: S-071143. A hotfix is available for SOLIDWORKS 2016 SP2 which replaces the “backslash” with wire frame icons to represent hidden state Feature Manager Tree similar to SOLIDWORKS 2015. Find the hotfix and the procedure to install it in Solution Id: S-071046. When using the SOLIDWORKS® PDM Web2 client, what causes the web client login page to stop responding or to return the error ‘Could not open database.’? This error commonly occurs when the Internet Information Services (IIS) ‘SOLIDWORKS PDM Web2’ application pool does not use the correct Windows® profile for the application pool identity. More details and a troubleshooting methodology can be found in KB solution S-070903. When troubleshooting problems with the database server service, how do I monitor SOLIDWORKS® Enterprise PDM notifications or XML data export processing? The SOLIDWORKS® Enterprise PDM database server service (ConisioDbServer.exe) periodically polls all vault databases. The service processes notifications, data export rules and broadcast events. it is possible to use a SQL agent to run a T-SQL script that monitors the table count of the common tables that the database server service should process, and alerts you to a trend of growing records over time.